The biblical record shows that God used people who didn’t look or act like leaders in the traditional sense. People who wouldn’t have interviewed well for a ministerial position and whose resumes would have failed to impress. However, Scriptures reveal that God chooses to use the weak to glorify himself and display His strength and stubborn love for us. (Exodus 3-4; 1 Cor. 1:26-27; 2 Cor. 12:9-10). When Jesus was inaugurating his ministry and establishing His Kingdom, He didn’t go after the learned, savvy, highly educated minds. He called men who were rough around the edges, small business owners with very limited schooling. I am not proposing that pursuing an education is useless or that education limits God’s ability to glorify Himself through the studied human instrument. What I am suggesting is that teachablility is a characteristic God values. These fishermen had humble origins; however, they were not unskilled, as fishermen. As business owners, they had learned to maintain an open mindset to new ideas that might heighten their profits. A wise business person doesn’t assume he knows everything there is to know about something. Actually, savvy entrepreneurs have an innate urge to continue learning and growing. Typically, entrepreneurs are willing to take risks but know the value of a good investment. They like to get things done. These were some of the characteristics Jesus desired for his group of disciples. He would have much more to do with this group of men; but He felt that in the disciples’ simple life, he had a good foundation to begin forming his future church leaders. This group was going to become the most successful salesmen in the history of the known world as they sold the “Pearl of great price, the Bread of Life and the only Water which satiates thirst”. They were going to convince others that there was a better deal to make rather than gaining the whole world, but losing one’s soul. We can learn much from the life of Jesus regarding spiritual leadership principles. Before Jesus preached a sermon, or healed a person, He chose disciples. Jesus knew a thing or two about spiritual leadership: 1) Spiritual leaders work hard to work themselves out of a job. They will intentionally prepare others to take their positions. 2) Spiritual leaders understand that their task is to move people from where they are to where God wants them to be. To illustrate this point we can refer to Jesus and his first encounter with Peter who was involved in his everyday business of fishing in the lake of Galilee. He understood that Peter needed to move from where he was—concerned about his family’s welfare, worried about how he was going to pay his taxes to the Romans, pressed by the need to remodel his boat, etc.—to where God wanted him to be; a fisher of men. Spiritual leaders influence and inspire others to make these types of monumental, life transitions. How did Jesus do this? By opening before Peter the realities of another world. Jesus helped him become attuned to an invisible, supernatural world where fish could swim right into a fisherman’s net in the middle of the day. Jesus got Peter’s attention and now he was ready to listen to the Master’s words. In fact, in that first encounter with Jesus, Peter recognized that the God of heaven was present on earth, and that he was loved and accepted unconditionally by Him. Spiritual leaders will influence others into making transformational life changes. A spiritual leader may have many goals and visions for the future of his church or organization; however, as he seeks the presence and guidance of God in his life; he will realize that God’s purposes and vision for him and his church must prevail. God’s agenda must supersede the leader and/or the church’s agenda and programing. God’s will and God’s agenda must seize the heart of the spiritual leader and direct his choices, plans and agenda. 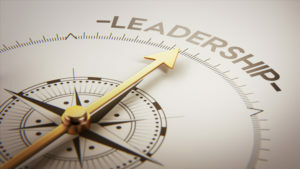 You may be familiar with Harry Truman’s maxim: “A leader is a man who has the ability to get other people to do what they don’t want to do and like it.” However, the spiritual leader in cooperation with the Spirit, not only will inspire people to do what they think they don’t want to do, but also gets the privilege of witnessing them arrive at the personal conclusion, that they are now experiencing deeper meaning, joy and satisfaction in their lives than ever before. When people are moved into alignment with God’s agenda, transformational changes will occur. Spiritual leaders are agents of change. As they personally commit to following God’s agenda in their own lives, homes and ministries, they are empowered to challenge believers to consider spiritual realities not necessarily considered before. The narrow and broad roads are set before all, choices will be made for either God or mammon. The decision will have to be made, traditional fisherman or a fisher of men. A spiritual leader’s job is not complete until others have experienced a personal encounter with God and have made a decision to follow Him. Henry & Richard Blackaby in their book: “Spiritual Leadership,” remind us that “spiritual leaders are driven by God; not by their passions and talents”. Personal passion and talents impress, however, only the Spirit of God can renew a heart and transform a mind. A Christian woman spent 30 years praying for her husband’s conversion and talking to him about Jesus; nothing seemed to make him respond to the gospel. One day, she felt impressed to change her strategy, instead of continuing to talk to her husband about Jesus, she decided to spend more time talking to Jesus about her husband. Her husband finally responded. He began to attend church with her and eventually surrendered his heart. The Bible declares: “It will not be by might neither by force, but by My Spirit, says the Lord” (Zech. 4:6). May we, as spiritual leaders, schedule time to sit in His presence, read and meditate on His Word, pray in faith and discover God’s agenda for our lives, family, ministry, and our churches. Belt up, remain attuned, and watch the Spirit of God move powerfully in your heart, life and ministry.